The GHIDINI1961 space in London, in a couple of strokes, sums up the luxury manufacturing of the company, highlights its Italian character, elegant and distinctive, recognizable in the world. 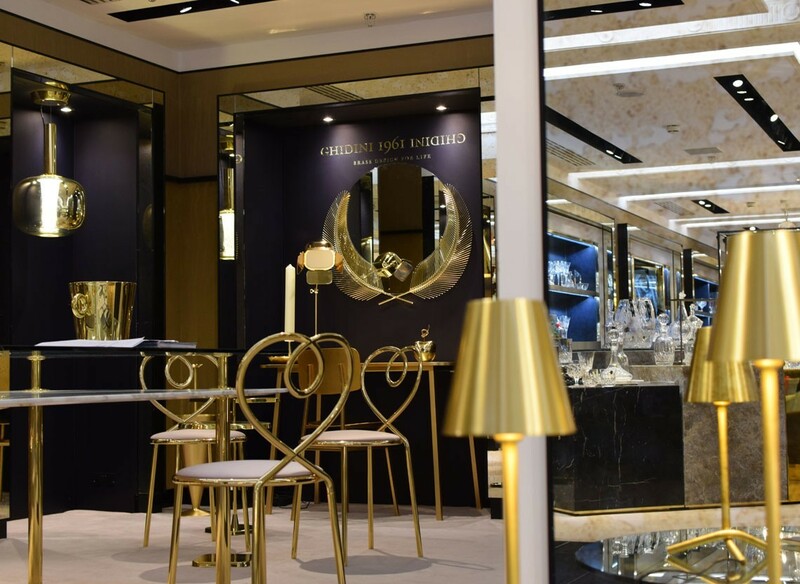 Harrods is a prestigious international window, ideal to demonstrate the infinite formal and color variations, such as the increased gold finish. The arrangement of the pieces has been carefully calibrated to create a recognizable and familiar home feel. The elegant dining area is paired with the slim Katana armchairs (designed by Paolo Rizzatto), in direct dialogue with the Da Vinci tables (designed by Richard Hutten). Completing the fifth backdrop is the Miami games console (design Nika Zupanc) accompanied by its own cherished Sunset Mirror. The great names of design, such as Andrea Branzi, the Campana brothers, Aldo Cibic, Branch Creative, Noah Duchaufour-Lawrence, Elisa Giovannoni, Studio Job, Alessandro Mendini, Tomek Rygalik tell the story of the company. An exceptional company under the art direction of Stefano Giovannoni. 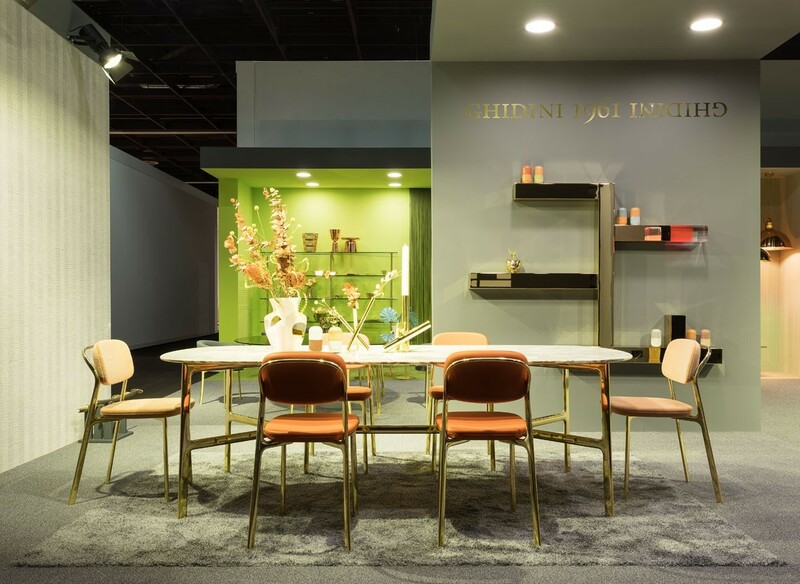 We are pleased to inform you that since January, GHIDINI1961 has started a corner store in London at Harrods, a mise en scène of the company’s creation, from elegant contrasts to tables and upholstered furniture. Inside the markets with large mirrored portals, and attracted from the mild shelves of Legs, there are the suits and accessories illuminated from the suspension lamps of the various collections. The Legs dining table, in Calacatta Gold marble and glass (designed by Paolo Rizzatto), accompanied by Nika Zupanc’s Love Chair, is the focal point of the display. At the middle of the corner there is a large pillar covered with mirrors, a fundamental multiplier of viewpoints. A game of intriguing and fascinating expressions that catches the eye, attracting passers-by.